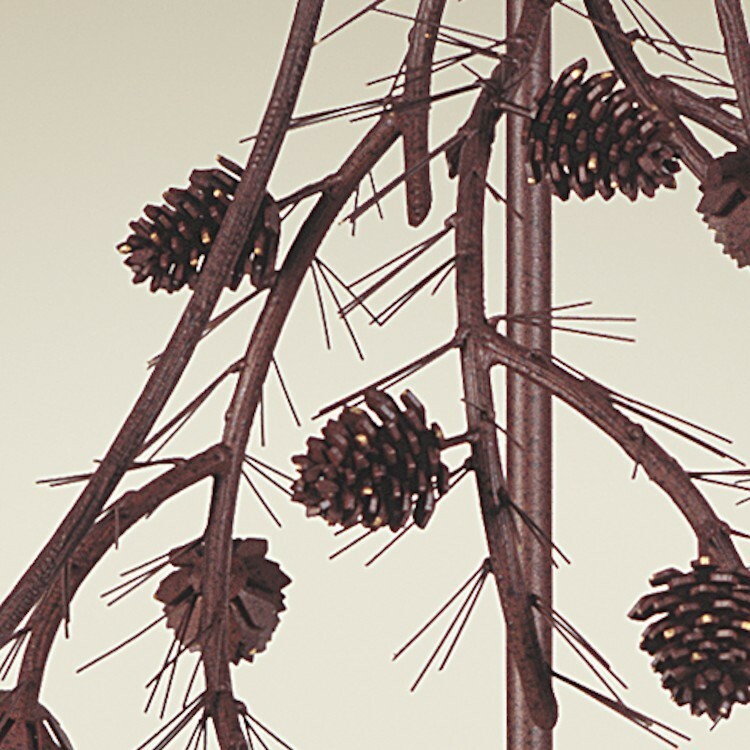 The Pine cone and Needles Chandelier is a rustic chandelier featuring 3 dimensional pine cones and branches that add depth and beauty to this chandelier. 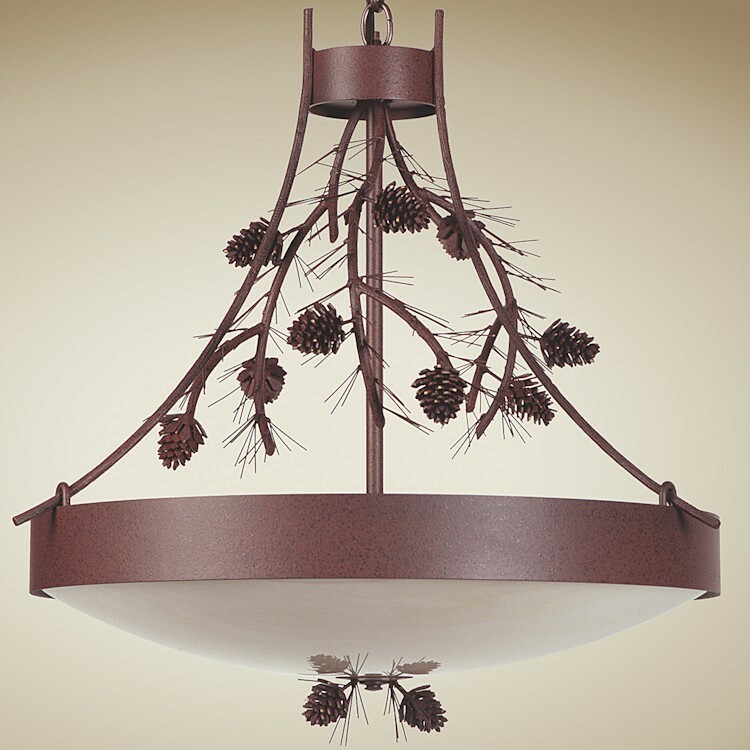 The Pine cone and Needles Chandelier is a rustic chandelier featuring 3 dimensional pine cones and branches that add depth and beauty to this chandelier. 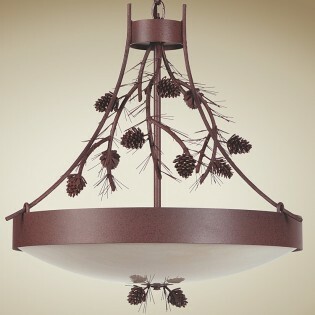 Includes alabaster glass diffuser, 3 feet of chain and ceiling canopy.